I have a Travelmate 5742 laptop, 2 GB RAM installed. 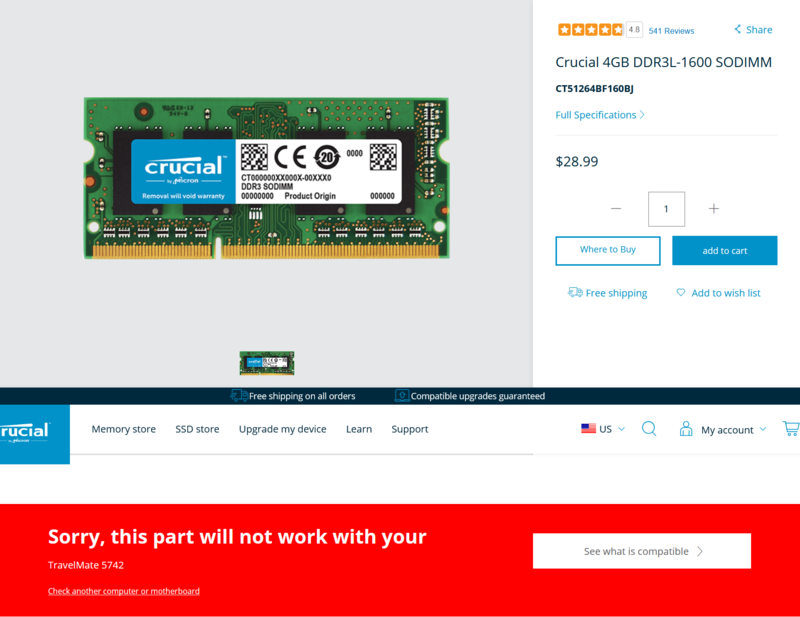 Then bought a 4GB DDR3L - 1600 SODIMM ram card, product of crucial. Seems to be not working. Should it be compatible? I need help. Could you give me the first ten characters of the laptop serial number (S/N)? Only the first ten. Part number of the Crucial memory module? You'll find compatible memory modules on this Crucial webpage.